Was Whitney Houston secretly gay? Her mom, Cissy Houston, did not exactly deny it in an interview with Oprah Winfrey, but said it would not have been cool in her book if true. Rumors about Whitney Houston being a closet lesbian surrounded the star for decades. Were they true? 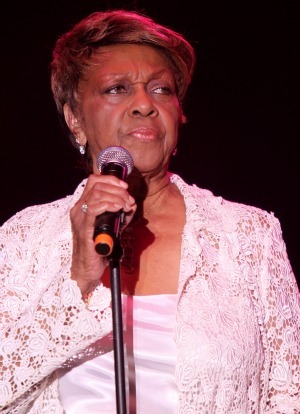 Her mom, Cissy Houston, is speaking out about it, and while she isn’t exactly denying it, she’s pretty adamant that it would not have been OK with her. Cissy first addressed the whispers about Whitney and her “close friend” Robyn Crawford in her new book Remembering Whitney. Scandal! Oprah asked Cissy about the rumors during an interview on Oprah’s Last Chapter and the old-school mom made it perfectly clear why Whitney, who Cissy calls “Nippy,” would not have told her if it was true: Because she would have totally disapproved. “Would it have bothered you if your daughter, Whitney, was gay?” Oprah asked. “Not at all,” Cissy responded. Oprah, who herself has been dogged by rumors of Sapphic love with her best friend Gayle King, looked genuinely shocked by Cissy’s candor. No PFLAG meetings in that house.